Corporate Cards | Connect. Create. Deliver. a web to print solution you’ve been looking for. Corporate Cards, LLC and its predecessor company have been serving the corporate identity needs of customers since 1984. We are a fully-integrated print and fulfillment company doing business through customized electronic storefronts with companies and organizations from medium-sized regional companies to large multinational corporations. We control all aspects of the customer interface from job entry through production and shipping. As such, with Corporate Cards, LLC, you are dealing with the producer of your product and not a middleman or broker. This will lower your cost and give you much greater control of your program. We serve those companies and organizations that require customized, high-quality, brand-sensitive delivery of corporate identity products. Corporate Cards myPrint Connect gives you full control of your corporate identity program. We design a storefront to fit your unique needs. The storefront can reflect your brand identity and be tailored to fit your organizational needs whether you are a single location company or a multinational firm with foreign language needs. We begin by understanding what your unique needs are. Then we design an electronic storefront that reflects your brand and your organizational needs. We produce your product in house and communicate with you when your job has shipped. We maintain and support your electronic portal and make changes as your business grows and changes. We have the ability to produce a wide range of corporate identity products in a modern plant, including digital and offset print, raised print, foil stamping and embossing, and UV coating. We are experts at what we do, and we can work with you to ensure that color is correct, graphic images conform to corporate standards, the proper substrates are selected and that you are getting the best value for your dollar. The B2B web2print storefronts created using Corporate Cards, myPrint Connect will be brand specific and easyto- use for ordering your corporate identity products. Corporate Cards takes brand color seriously. We will work closely with you to build and match your branded color. Once we have approved color, we lock it down on your storefront as well as our state-of-the-art digital press for continued brand repeatability. Every Corporate Cards storefront is built to your brand guidelines. Graphic templates are created to your specifications so that each job conveys your brand identity properly. Create unlimited numbers of users for each of your locations. This allows you and your management team to easily track who ordered what. You may even assign a variety of permission levels to each user to better manage the ordering capabilities of each user. Your order history is available online and can be used to place reorders. Need to make a change? No problem, all order history products are fully editable! All Corporate Cards, myPrint Connect, B2B storefronts support the Order Approval feature that permits admins or procurement agents to approve all orders placed by users within unique user groups. Corporate Cards, myPrint Connect automatically emails notifications, which include package tracking numbers and a PDF invoice, as each shipment is sent. All corporatecards.com orders come to us through storefronts customized to your specifications. There is a storefront demo available on this website. We hope you will test drive our demo site. To do this, please click on the button below. Branding the site with your corporate identity. Including multiple products or product designs on the site. Providing drop down boxes with pre-programmed information such as addresses, titles, shipping locations, etc. Access to order history for easy reordering with or without edits. Approver queues for central program control. Automatic notification of shipment with tracking information. Access to reports and billing information. Instant on-line proofs for one or two-sided cards. Many customers have demanding deadlines. We can move very fast at CorporateCards.com. Once we have all the information we need, we will turn a quote in 48 hours and we can complete the initial programming of your site within two weeks. If we cannot hit these timeframes, we will let you know up front. Typically, the process is guided by the speed with which our customers get us the information we need at each step in the process. At CorporateCards.com, you are dealing with the manufacturer. No middlemen are involved, and we do not sub out work. We control the process and product quality from start to finish. This ensures that you get consistent quality, responsive service and wholesale prices on your corporate identity products. Schedule a Live Webx Today! 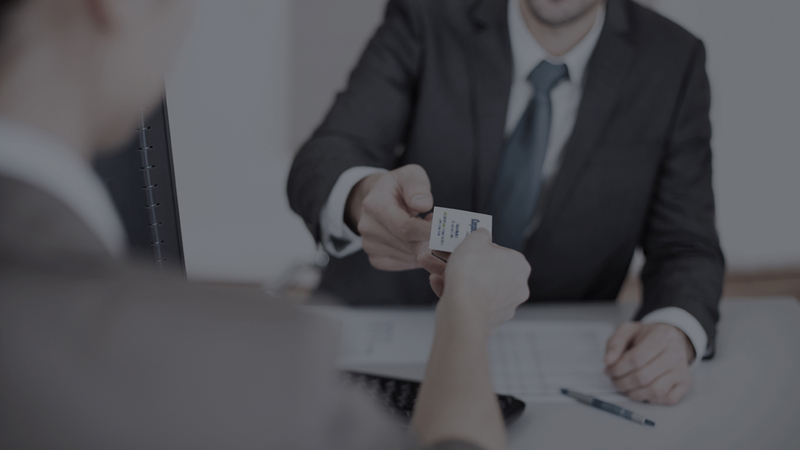 Corporate Cards, LLC will provide you with a seasoned contact person who will provide consistent program support from site design through production and fulfillment and billing. We own the factory, and we ensure that your product is consistently produced and delivered in a timely manner. We stand behind every job, and if a mistake does occur, (we have a reprint rate of less than .4%), we will make things right at no cost to you. We have a full Quality Control function, and each job is inspected before it leaves our plant.